We’re the experts on Botox in Nashville! Do you feel that the moderate to severe glabellar lines between your brows make you look tired or mad? Do you have other reasons for being curious about BOTOX Cosmetic®? 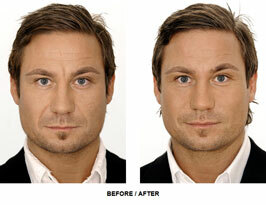 At Dermess, we’ve been treating patients with Botox since it came on the market. We’ve even been awarded Botox Platinum status by Allergan, the manufacturer of Botox. BOTOX® Cosmetic is a prescription medicine that is injected into muscles and used to improve the look of moderate-to-severe frown lines in people 18 to 65 years of age. BOTOX® Cosmetic is the gold standard in wrinkle smoothers. With real, noticeable results, no surgery and no recovery time, there are many reasons why Botox has been chosen by millions of men and women. Ask us about BOTOX® Cosmetic today to find out if it is right for you.